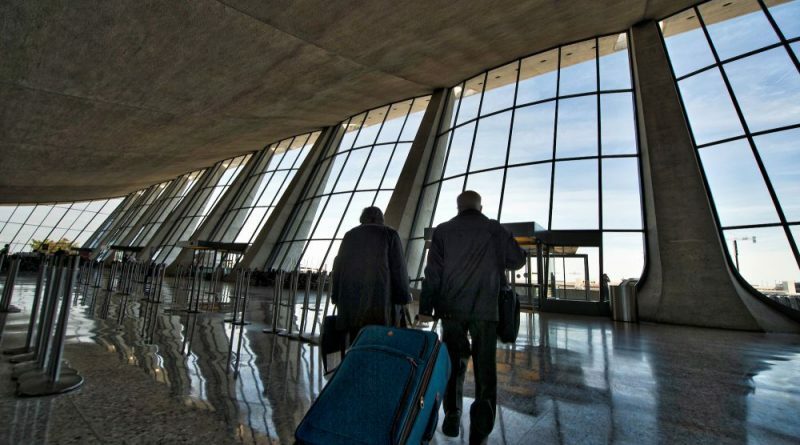 Included in the White House’s proposed $200 billion infrastructure investment package unveiled today is the possibility of selling Dulles Airport. Reagan National Airport also is on the list. Both are operated by the Metropolitan Washington Airports Authority under a lease agreement. The MWAA board is comprised of representatives appointed by the governors of Virginia and Maryland, the mayor of Washington, DC, and the president. The Trump administration said the plan would stimulate $1.5 trillion in infrastructure work over the next 10 years. Critics said the approach simply pushes costs onto state and local governments, while also increasing the national budget deficit. Virginia Gov. Ralph Northam (D) met with President Donald Trump and his staff this morning about his infrastructure plan, but said that nothing was mentioned about the sale of the two airports. Trump congratulated Northam on his win for governor, and then asked him whether he had any thoughts on infrastructure. The governor asked for the president’s help with dredging the Port of Virginia to make room for larger container ships and for support to improve broadband in the commonwealth. Democrats representing Loudoun in Virginia’s General Assembly lashed out at the suggestion. That is precisely the reason to sell them Ralph. If they’re so great, then why do they constantly need to be subsidized by taxpayers? Sell the airport to Amazon.